Inkee Paws: You're so sweet! Hello! It's Saturday so that means it's time for another great sketch from The Sweet Stop! It's also the 3rd Saturday of the month so that means that it's sketch with a spin time. This months spin is Movie or Book inspired. 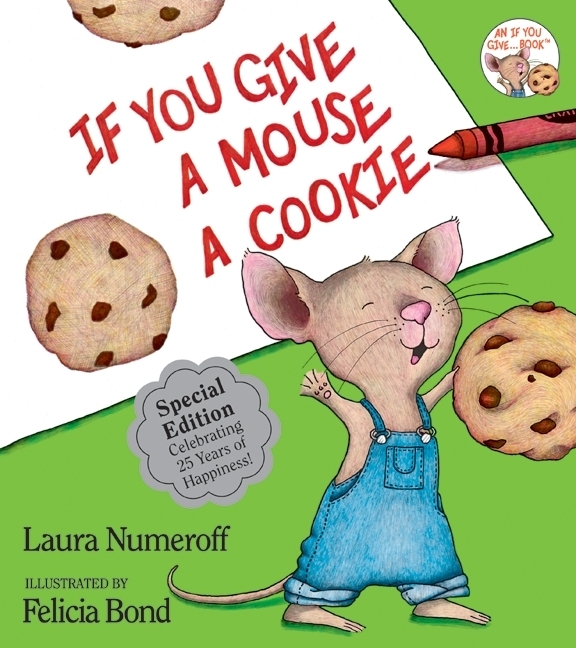 I was a little stumped at first but then i got to thinking about a book that my boys liked when they were little "If you give a mouse a cookie" and there just happens to be a perfect Cocoa image to fit that story! Janice, your card is wonderful and is making me hungry for a snack. I loved reading that book to my kids a long time ago since now they are 16 & 20. Just adorable, Janice...perfect for this challenge! 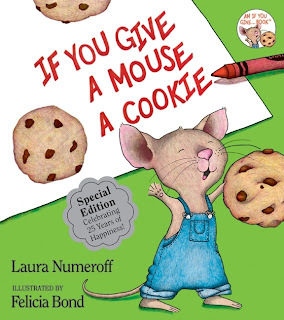 When I was teaching, I loved reading all the Laura Numeroff books to my class and even had a chance to meet her at a conference! I immediately thought of this image, but don't have it...uuuugh, so there went that idea! So glad you were able to use it! Have a wonderful weekend! 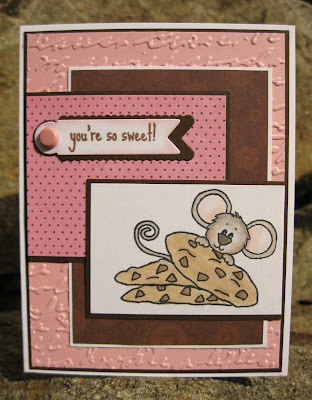 Great take on the sketch & theme, and I love the pink & brown colors! Cute!! Darling card Janice. Love the sweet image, the pretty colors... the embossed background looks great. Ps! I absolutely love this adorable mouse. You have made him perfect background where he can eat his cookie. So beautiful card! You picked a great book for inspiration. I used to read that book to my kids when they were little. Very Cute card.